WASHINGTON — Lockheed Martin, frustrated by changing requirements the company feels are skewed to a particular competitor, is dropping out of the U.S. Navy's over-the-horizon missile program intended to give a lethal capability to littoral combat ships and frigates. The move, which an industry source said was announced to the Navy on May 23, means that two of the three primary contenders — Boeing and Lockheed — are ceding the field to the rival joint effort of Kongsberg and Raytheon, now likely to be the only serious bidder to provide the weapon. "After long and careful consideration, Lockheed Martin has decided to withdraw from the U.S. Navy Over-the-Horizon Weapon System (OTH-WS) competition," Scott Callaway, director of advanced subsonic cruise missiles at Lockheed Martin Missiles and Fire Control unit, told Defense News on Wednesday. "As the current OTH-WS request for proposal (RFP) process refined over time, it became clear that our offering would not be fully valued. Lockheed Martin remains a committed industry partner and looks forward to future opportunities to deliver superior combat power to the surface Navy." The RFP was issued Feb. 8 by the Navy's Integrated Warfare Systems office at the Naval Sea Systems Command. Bids on the missile are due to be submitted by June 23. 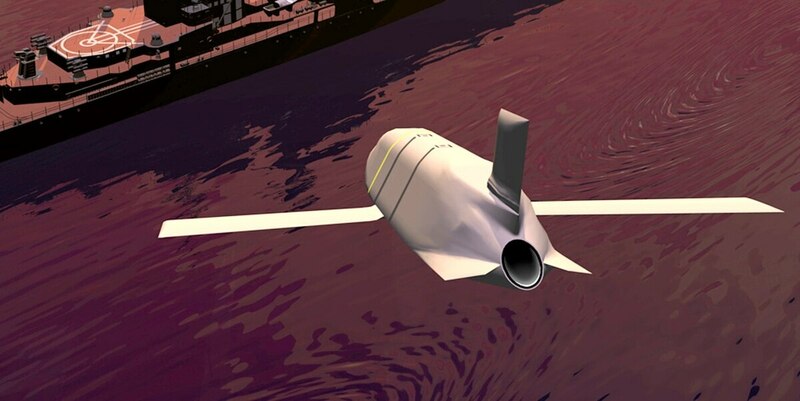 Lockheed and Boeing each felt the competition was increasingly driven to favor the Naval Strike Missile, a weapon developed by the Norwegian firm Kongsberg, who has partnered with Raytheon to offer the system to the U.S. Navy. Industry sources indicated they felt the initial RFP was viable, but as requirements were refined during the question-and-answer process, Boeing and Lockheed felt that key attributes of their systems, particularly networking capabilities and in-flight targeting updates, were being discounted, robbing Lockheed’s Long Range Anti-Ship Missile, or LRASM, and Boeing’s extended-range Harpoon Block II Plus of key competitive advantages. Versions of both weapon systems are in development for Naval Air Systems Command to provide air-launched versions, expected to enter service ahead of any surface-launched variant. "There was no value for being able to go after radiating or emitting targets," an industry source said, discounting an LRASM capability that can detect emitting and moving targets. "Through responses it became clear there would be no credit for attacking emitting targets, and no requirement to be on a network." The absence of a networking requirement was "surprising," the industry source said, "given the needs of the distributed lethality concept," which envisions netting together weapons, sensors and command facilities on a variety of platforms. Additionally, the industry source said, there was "no plan to do a cost-per-kill analysis. They made that clear. So no extra credit for improved survivability." The comments echoed those made by Boeing on May 2 when the company announced its decision to drop out of the OTH-WS contention. "In every iteration of the RFP amendments we see a decrease in the top-level requirements document and changes in the top-level requirements document," Troy Rutherford, director of cruise missile systems at Boeing's Defense business unit, told Defense News. "We’ve taken a hard look at that and said that at this point it doesn’t make sense for the Boeing Company to bid on this." Another potential OTH-WS competitor, Saab, also recently dropped out of contention. "We decided not to submit a bid," said John Belanger, spokesman for Saab North America. "We evaluated the business case, didn’t see a good fit and decided not to bid our product." Belanger declined to discuss in detail the reasoning for pulling a variant of the company’s RBS-15 missile out of the OTH effort, but added that Saab continues to monitor the program. "If we see any change, our position might change," he added. Reached Wednesday afternoon, U.S. Navy officials declined to comment for this story. LRASM is a long-range, precision-guided anti-ship missile developed from the Joint Air-to-Surface Standoff Missile-Extended Range air-launched weapon carried by U.S. Air Force bombers and strike fighters. The all-weather weapon is armed with a penetrator and blast fragmentation warhead, and can strike specific targets within a group of targets. The air-launched version is expected to enter service in late 2018. Lockheed launched LRASM last year from a vertical launch system, or VLS, aboard the Navy’s self-defense test ship Paul F. Foster, and, according to Callaway, the company intends to continue development of the weapon. "Lockheed Martin strongly believes that we have an offering of significant value, which the Navy is already familiar with in the Long Range Anti-Ship Missile Capability Air-Launched program of record," Callaway said. "We will continue our investment in the maturation of the surface-launch LRASM capabilities for future competitions where survivability, long range, and lethality against the most capable adversary ships drive the requirements. "On the heels of our recent successful at-sea VLS demonstration, our topside launcher flight test this summer designed for non-VLS applications will further demonstrate the flexibility and versatility of LRASM for the surface fleet. Lockheed Martin understands how critical this capability is to the Navy, particularly given the surface Navy’s return to sea control through the distributed lethality concept of operations."